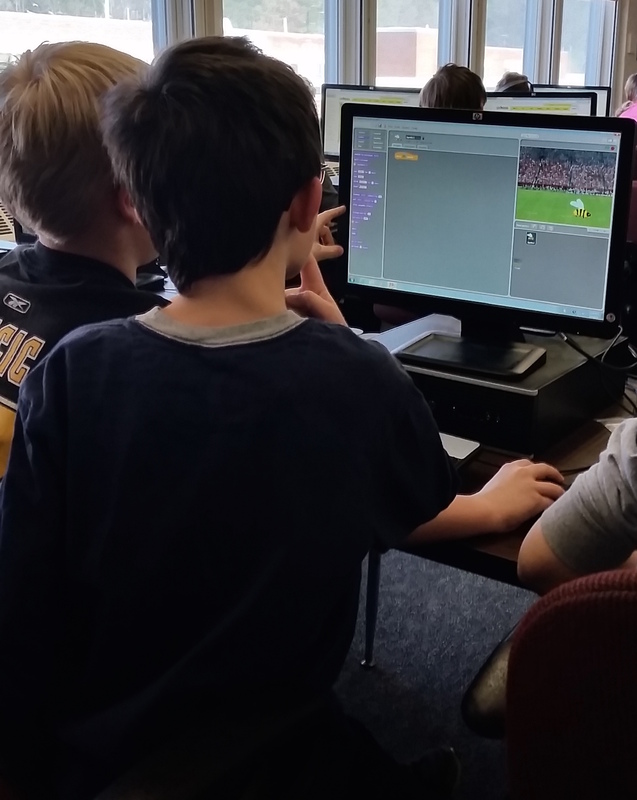 For the first week of the 2nd session of Code Club, I asked that only the new members come so that we could go over the basics of Scratch. 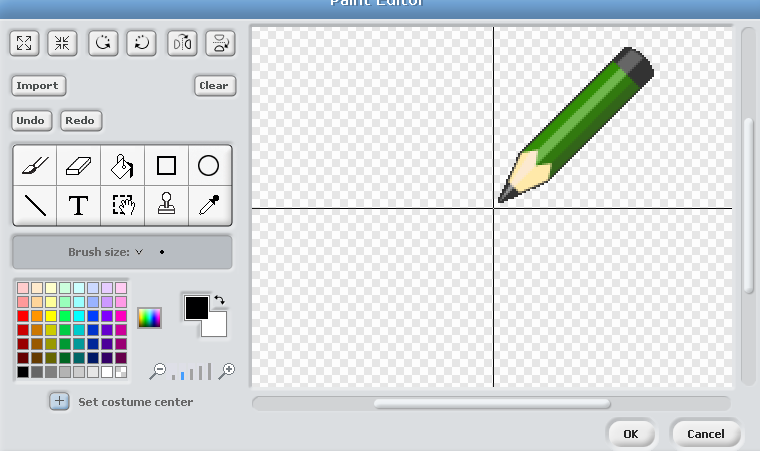 It would help to orient the new coders to Scratch if the “experts” weren’t there. 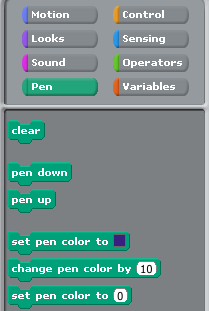 I planned on going over material the veteran coders had already learned, so they wouldn’t miss anything and the potential for them to distract the new Scratchers would be eliminated. 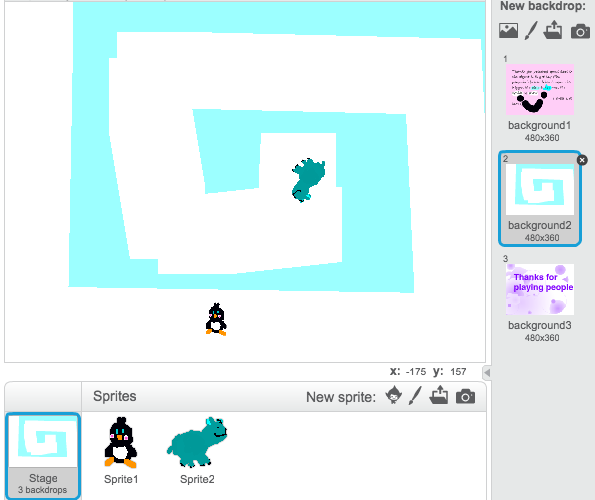 I thought I would start by teaching the new coders how to make a maze game on day one. 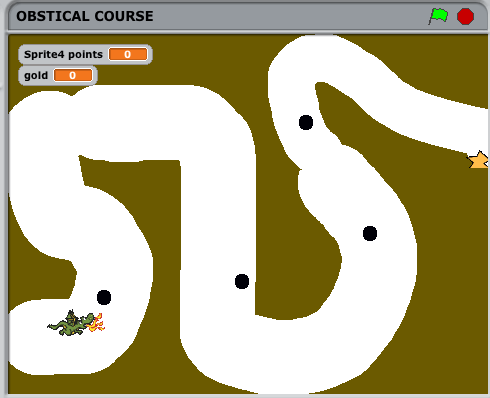 It was one of the favorite types of games from the first session. 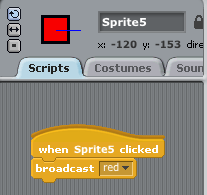 You learn the commands to control a Sprite using arrow keys and how to check if the Sprite is touching the walls. Perhaps it was a bit adventurous for the very first time, but with a smaller group I thought Alex, my high school volunteer, and I could handle it. I also decided to create the instruction sheet myself. 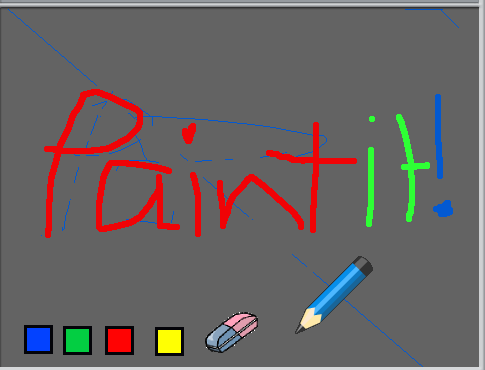 Inspired by Code Club World project resources and Simon Haughton’s Scratch webpage, I customized my own version. I spent way too much time writing this up, but Alex was psyched just by the fact that I printed it in color. 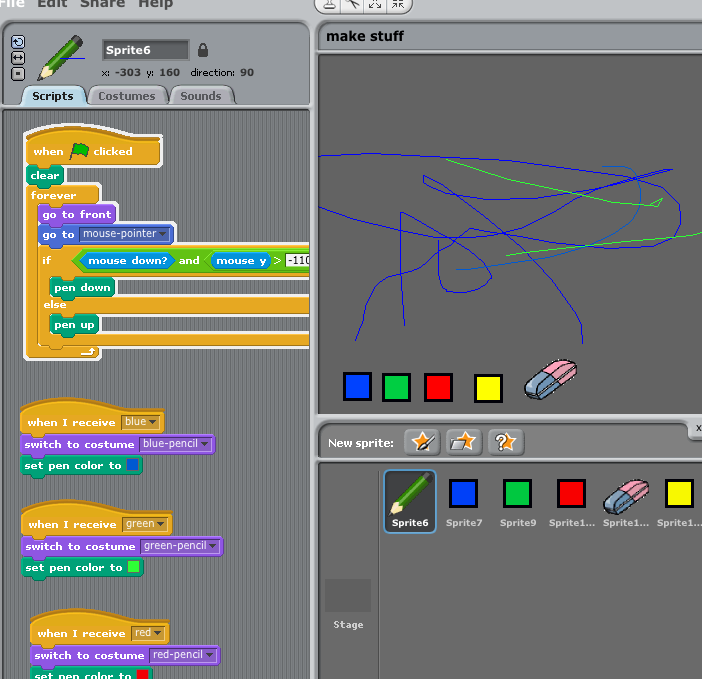 Color copies are $$ but soooo helpful when learning Scratch because the code blocks are organized and grouped by color. Alex also brought over a pair of college students, volunteers who are part of Coder Dojo, to help out. It was a spur of the moment sort of thing. I guess there was a code meeting at the high school with poor turn out so they had some extra time to come help us. The more help the merrier. In addition, a couple veteran students didn’t read the calendar carefully, especially the part about only new students the first meeting, and came to our meeting, so I assigned them to be one-on-one helpers. The helper to learner ratio was nearly even. 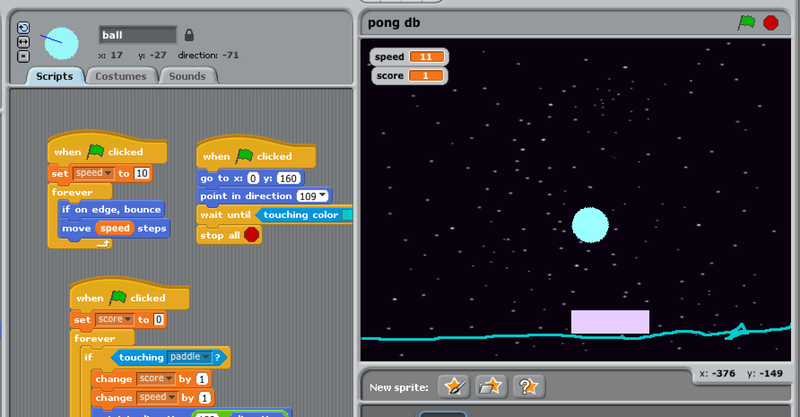 It was a nice start to the 2nd session and some great coding happened, like the example below.